Artist on demand is the masters of dhol. The outstanding dhol performances by our team in Nasik have outgrown the number of Nashik Dhol Players demand in Delhi. Every individual wants a different performance at their big day. Be it weddings or any family or private affairs like sangeet ceremony, ring ceremony or any other private affair, all of us want it to be very exciting and different. This you can only find here. We cater to all sorts of the requirement of our clients. People want to make it large and big on their special occasions and we help them live their dream to the fullest. Artist on Demand has a large band of dhol players who can rock and perform all sorts and varieties of dhols and dholis on any occasion. The difference being the very famous Nasik dhol tune in which our Nashik Dhol Players are experts. They are capable of playing any tune that our client needs. The very popular and energetic dhol tune is the demand of the day. This is widely liked and very popular in the region of Mumbai and nearby areas. But this is our specialty that we too provide such different and energetic artists to our clients. We are widely known for our live band performances all across Delhi and NCR region. We specialize in providing live bands of all sorts and types to our affluent clients. Artists on demands also cater to the needs of people who wish for a destination wedding. Our teams of bands, musicians, Belly Dancers, choreographers, live Dhol players and many others amongst many travels across the globe to different places for the weddings and functions. Our highly experienced team has performed at many events, functions, and weddings for many affluent and well-known people. Our dhol players can adapt their style the way you want. Now enjoy your party, function, and wedding to the core and let your guests groove and dance to their tunes and beats. Enjoy a host free party with our live Dhol players. So, what are you waiting for? 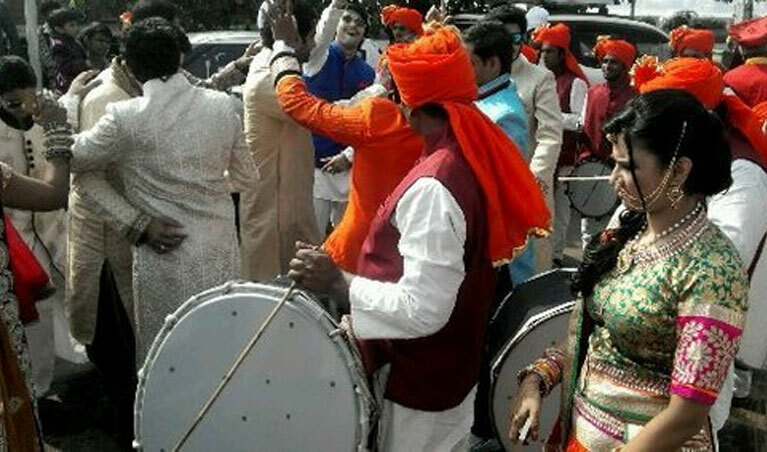 Hire our Nashik Dhol Players!